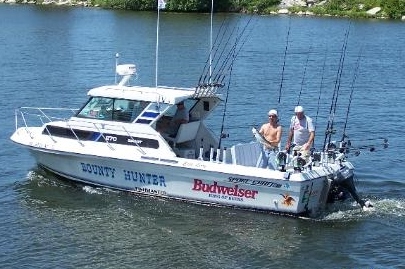 Bounty Hunters Fishing Charter offers a 27' fishing boat and can charter up to 6 anglers. Fish the great Lake Huron for salmon, lake trout, steel head, and brown trout. US Coast Guard certified.